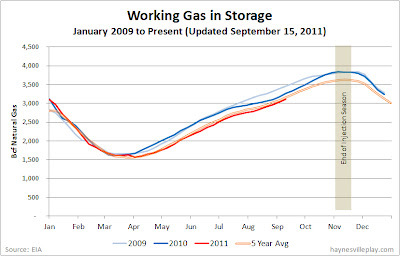 The EIA reported this week that working gas in storage increased by 87 Bcf to 3.112 Tcf. The net injection was 9% lower than last year (+96 Bcf) but 10% higher than the five year average (+79 Tcf). 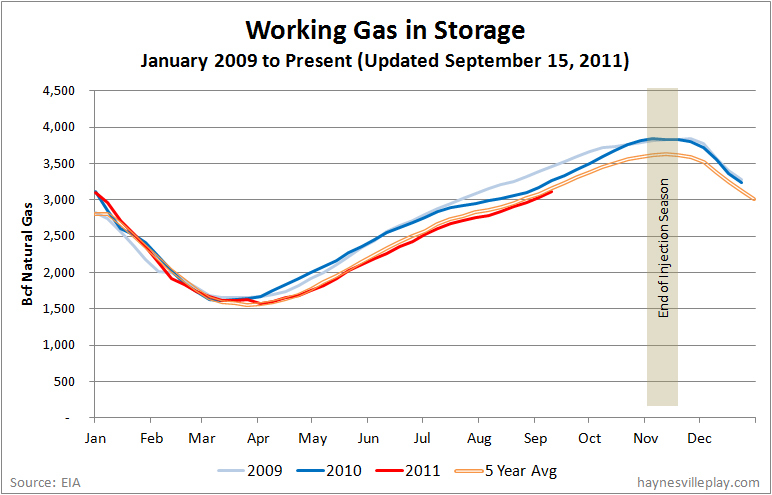 The current storage level is 4.3% below last year (3.156 Tcf) and 1.6% below the five year average (3.085 Tcf). Temperatures last week averaged 71.1 degrees, noticeably cooler than the previous week, back into the range of seasonal readings. The average temperature was 0.9 degrees warmer than normal and 0.1 degrees warmer than last year.